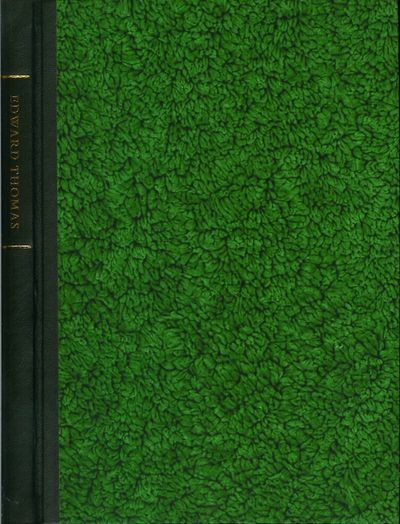 viaLibri ~ EDWARD THOMAS: Selected Poems. Thomas, Edward. Introduced by Andrew Motion. Lithographs by David Gentleman. London: Folio Society, 2017. Limited edition. Hardcover. Book and slipcase very fine. xvi, 66 pp., illustrated with colored lithographs; octavo, dark green morocco and pastepaper boards, slipcase. Edition of 1250 copies numbered and signed by the artist, this #288.